Carl makes plans for another supply run with Carol if his father has not returned within a week. Beth assures him that Rick will return. 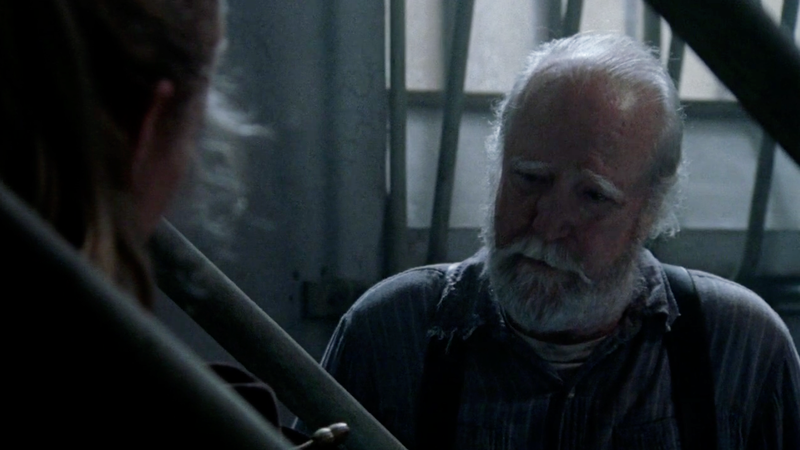 Hershel is heartbroken to hear Carl's acceptance of the idea that his father may die. 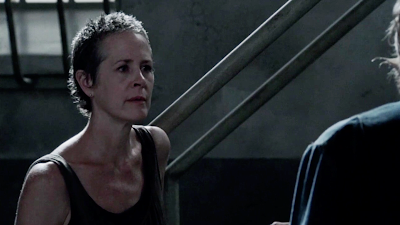 The sound of voices from the tombs startles all of them. 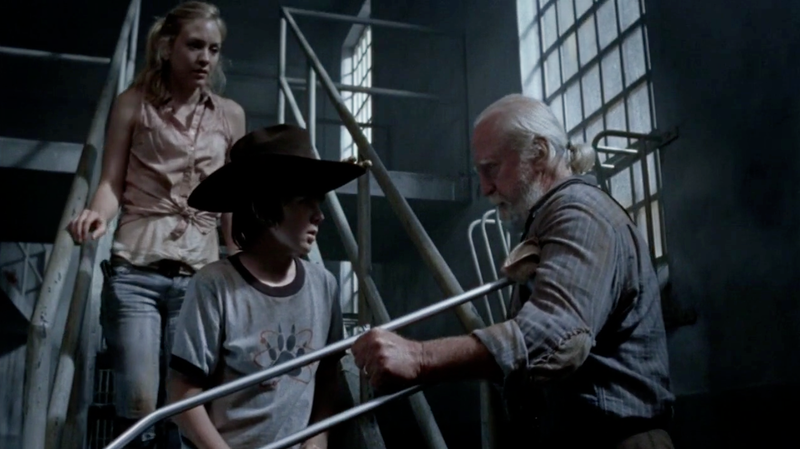 Carl insists on investigating but Hershel blocks his path. 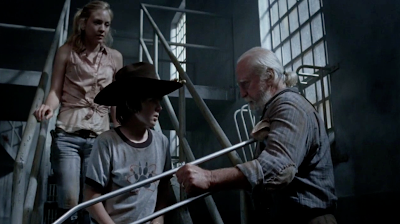 Carl reminds the older man that Rick would go and Hershel finally relents. Carl makes his way fearlessly into the bowels of the prison where he stumbles across and embattled group of survivors. 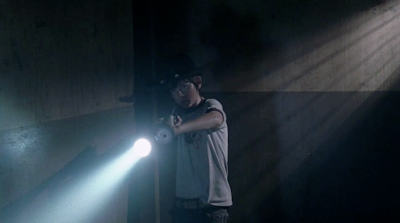 They quickly rally when Carl aids their fight and leads them to safety. But their relief turns to fury when Carl locks them in their own cell block. 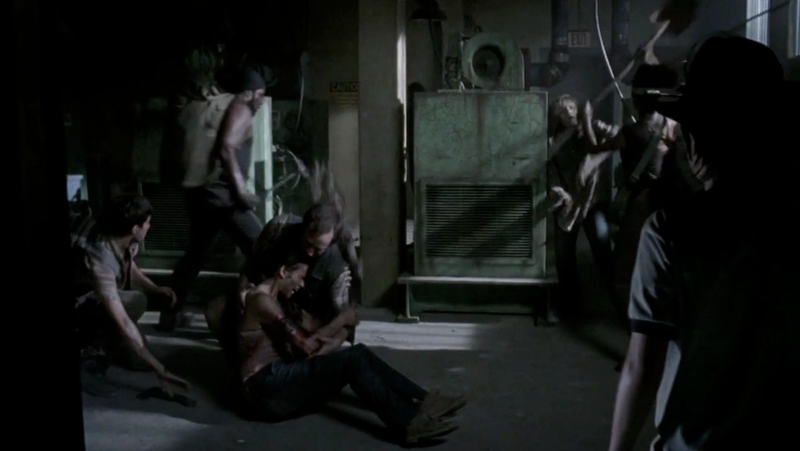 Their leader Tyreese however, urges them to stay calm. Tyreese assures Carl that they will not make trouble and are content with having secured shelter. 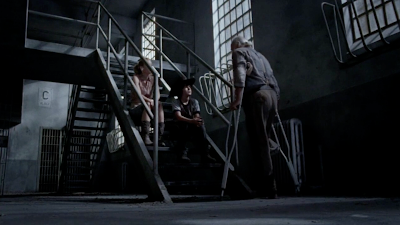 It would be a long night awaiting the return of Rick and the rescue party. 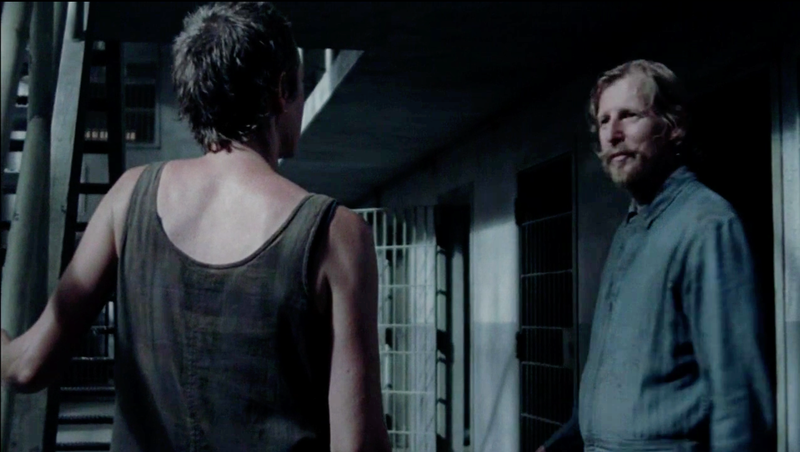 With the arrival of new guests at the prison, Hershel would certainly ask Axel to prepare something good for breakfast. A sweet meal in defiance of the bitterness they have endured would be Axel's idea of a "good breakfast." 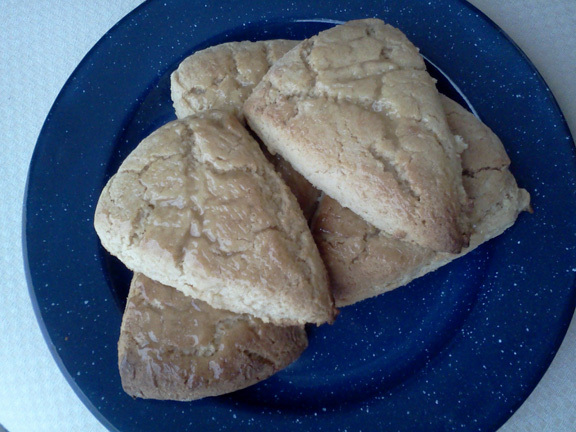 Lemon Scones, made simply with five ingredients can be put together at a moment's notice. Hearty and satisfying, these scones feature buttery lemon curd in the dough and as a glaze. And when the dead rise; all guests get locked in the guest room. Preheat oven to 425°. Alternately, heat campfire coals to red-hot and allow to turn to white-hot ash. 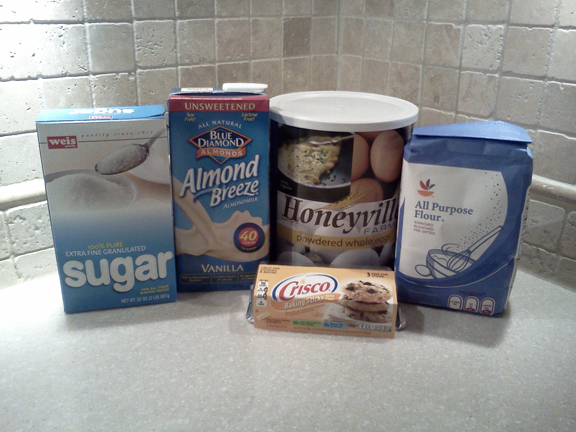 In a large bowl, blend flour, sugar and baking powder together. 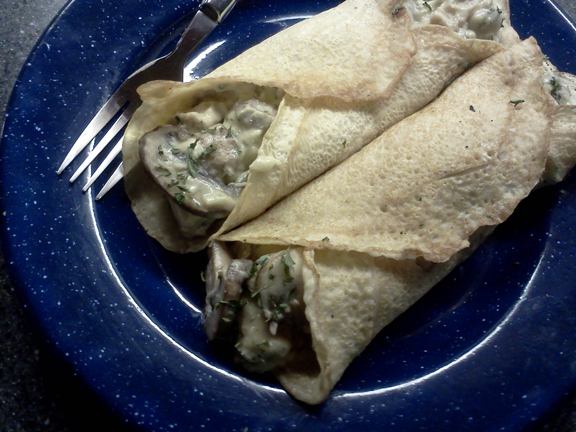 Using two forks, blend in the shortening using a cutting/mashing motion. Mash until the floured pieces of shortening are the same size as peas. Don't work in the shortening so much that the mixture becomes mushy or pasty. 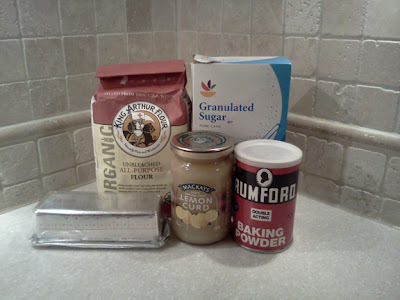 Remove three tablespoons of the lemon curd from the jar and set aside. Stir the remainder of the jar into the flour/shortening mixture. 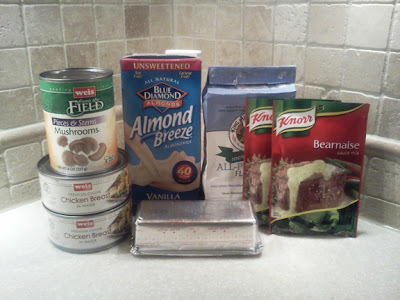 Mix with a wooden spoon until all the dry ingredients are moistened. If the mixture is too dry, you may add water (1 Tablespoon at a time) until the ingredients are moistened. Do not over mix. Using clean hands, gather the dough into a ball. Be sure to incorporate any dough that is stuck to the sides of the bowl. Lightly flour a clean and flat work surface and transfer the dough to the surface. Using gentle motions, knead the dough five to 6 times. Pat or roll the dough into an 8 inch round that is approximately 3/4" thick. Using a sharp knife (or a pizza cutter) cut into 8 wedges and place 1/2" apart on a baking sheet or baking stone. Bake in a preheated oven for 12-16 minutes or until light golden on top. Alternately, place wedges in a greased cast-iron pan and cover tightly with aluminum foil or a tight-fitting lid. Place over a grill with preheated (white-ash covered) coals. "Bake" for approximately 10 minutes and check for doneness. Insert a knife into the center of 1 scone. Scones are done baking when the knife comes out clean. You may need to rotate the scones so they will bake evenly. Bake for an additional 6 minutes if needed. As soon as scones are done, remove from oven or coals and brush the reserved lemon curd on the tops as a glaze. Serve immediately.